Retrenchment in Victoria has impacted many industries and skillsets, from healthcare, telecommunications through to meat packing. Often retrenched workers struggle to find jobs in the same industry that use their existing skills or pay comparable wages. As part of the IntoWork Group, AGA is delivering these services in Melbourne North and West. 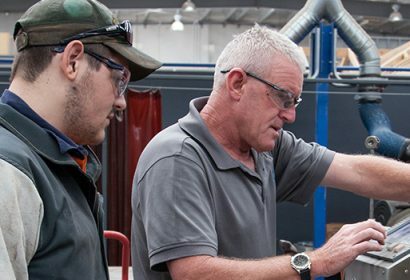 As a leading not-for-profit training organisation, AGA have established a reputation for genuine care. AGA’s depth of local knowledge and experience helping people successfully complete training and secure employment means they are best placed to support retrenched workers in the local community. Job Active providers, The Department of Jobs and Small Business and participating employers are currently referring retrenched workers to AGA to help identify competencies and skills that could be transferred to other industries and to help with resume preparation, managing an online presence and interview techniques for a variety of roles and industries. AGA and the IntoWork Group are looking forward to delivering successful job outcomes for retrenched workers – ultimately securing new sustainable employment.